Numbers permeate every aspect of our lives; very little happens without a basic ability to manipulate the simple whole numbers we all take for granted. 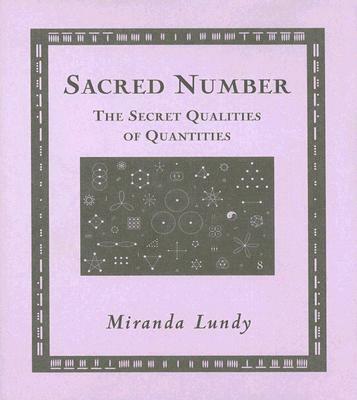 Beautifully illustrated with old engravings as well as contemporary imagery, Sacred Number introduces basic counting systems; significant numbers from major religious texts; the importance of astronomy, geometry, and music to number quality; how numbers affect architecture. Lundy explains why the ideas of Pythagoras still resonate, and she profiles each number from one to ten to show its distinct qualities: why, for example, the golden section is associated with five, and seven with the Virgin Mary.